You did it! On Election Day, Nebraska voters approved Initiative 427, which will help many of our hard-working, uninsured friends and neighbors finally get the health coverage they need. We are so grateful for and humbled by your support. 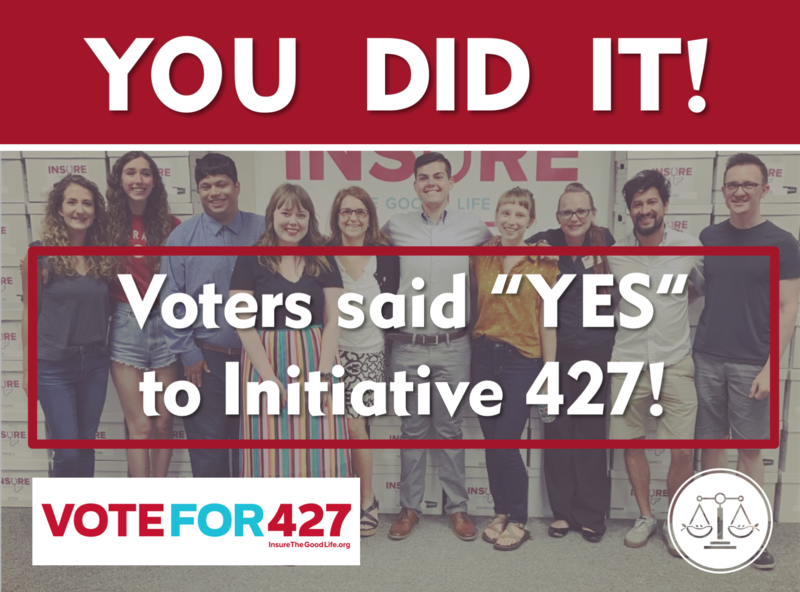 So many of you not only voted for Initiative 427, but went above and beyond to even give Nebraskans the chance to vote for a healthier future. You collected petition signatures and added your own name. You put signs in your yard. You made phone calls, knocked on doors, and had conversations with your friends, family members, neighbors, and coworkers about why every Nebraskan should be able to see a doctor. 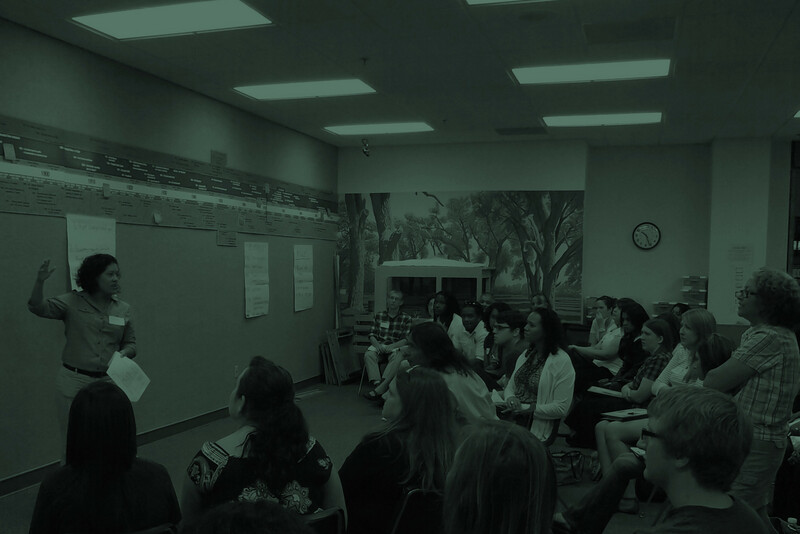 Many of you opened up and shared your very personal stories, both publicly and with us. We are very grateful for your openness and courage. And because of all you did, more Nebraska families are now going to be able to get medical care, get healthy for their jobs and their families, and hold on to something everyone should have — a degree of security as they work for a better life. You’ve shown the entire state when we work hard to create a more-just Nebraska, great things can be accomplished. Your support of Initiative 427 will literally save more than 1,000 lives in our state over the next 10 years! For six years, we’ve joined other advocates to try to expand Medicaid. It was your support and hard work that finally made it happen. Thank you deeply for creating a healthier future for our neighbors. We are proud to stand with you today. The Nebraska Legislature will have to address Medicaid expansion during the upcoming 2019 session, which begins in January. We will monitor that our lawmakers fund and implement Medicaid expansion fully and effectively. And if there are efforts to obstruct, stall, or delay — we’ll be there to fight back and make sure the people’s vote is honored. When can I sign up for the expanded Medicaid coverage? The Nebraska Department of Health and Human Services must submit a State Plan Amendment to the federal government for the expansion by April 1, 2019. This means people would be able to enroll under the expansion category by Summer 2019 at the earliest, and possibly as late as early 2020. Is there any way I can get health coverage now? Depending on your income, you may qualify for subsidies to buy affordable coverage through the HealthCare.gov Marketplace before the open enrollment period ends December 15. There are Assisters in several Nebraska communities who can let you know if you qualify for subsidies and help you compare plan options. Find an Assister at enrollnebraska.org/local or call toll-free 1-800-318-2596. How can I get more information or stay involved? Appleseed and other local groups will continue to put out information and keep you informed on ways to take action if necessary. We are available to discuss any questions you may have or help think through resources that could be helpful too. Please email info@neappleseed.org with other questions or call our intake line 1-800-845-3746. I want to hear what is happening in the legislature as far as the Medicaid discussion goes. It is important to many Nebraskans, rural and urban.